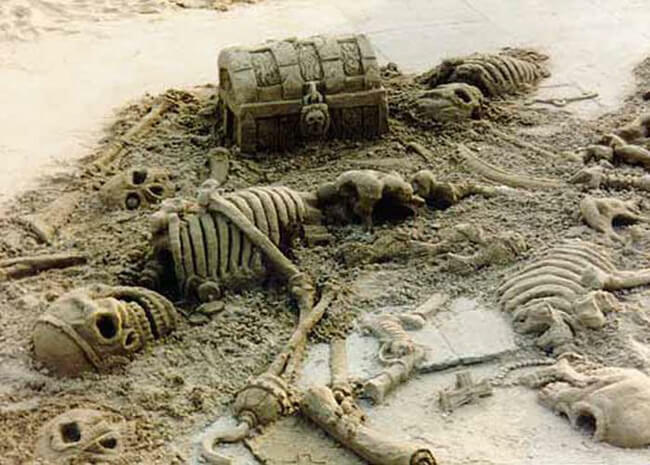 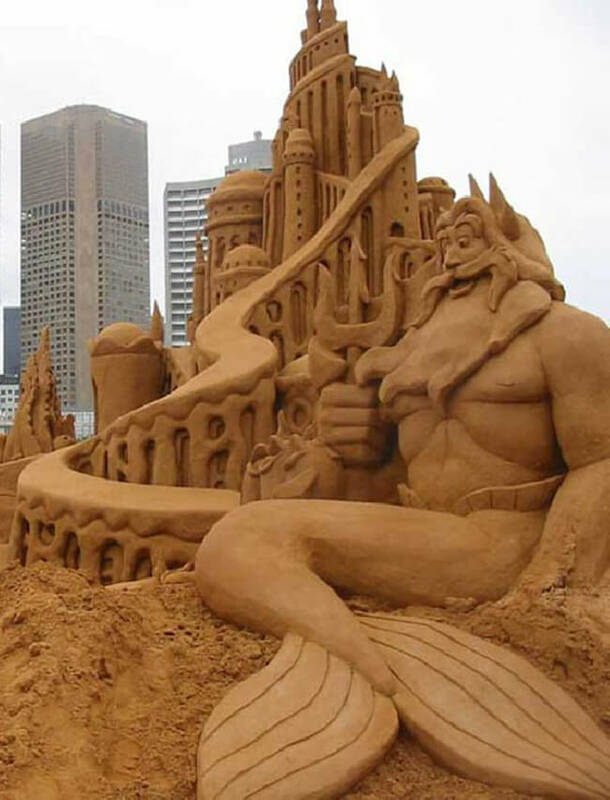 If you thought your sand sculptures were cool, your mind is going to be blown when you see these 23 works of art. 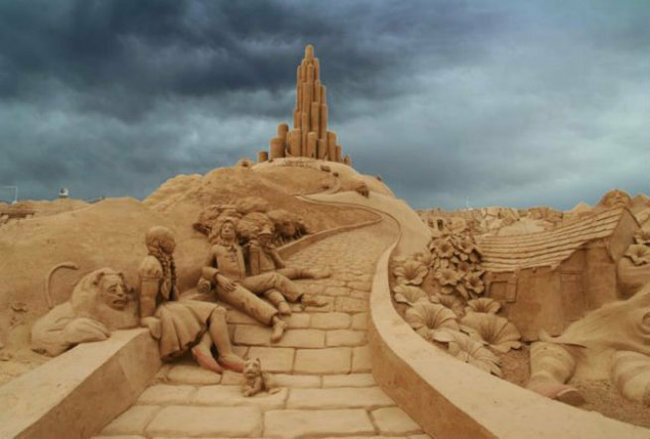 With such great detail and massive height, it’s pretty hard to believe these sand sculptures are actually made of sand. 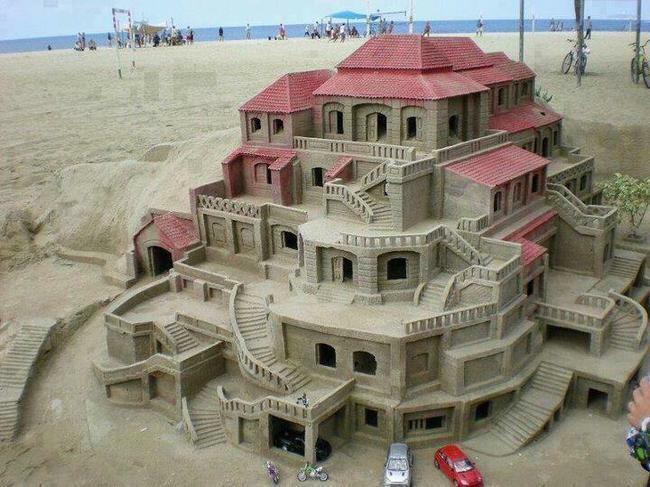 Don’t you love the little cars in the driveway? 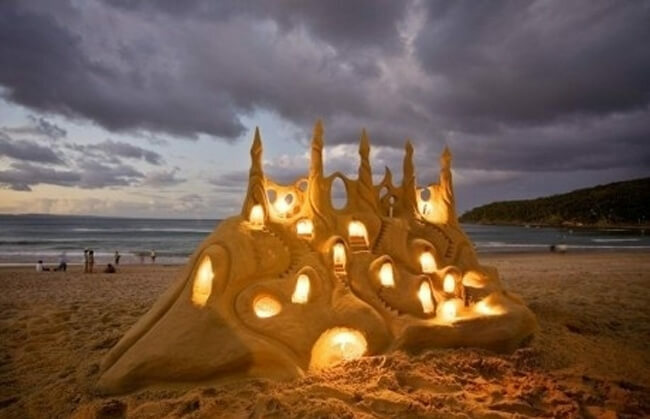 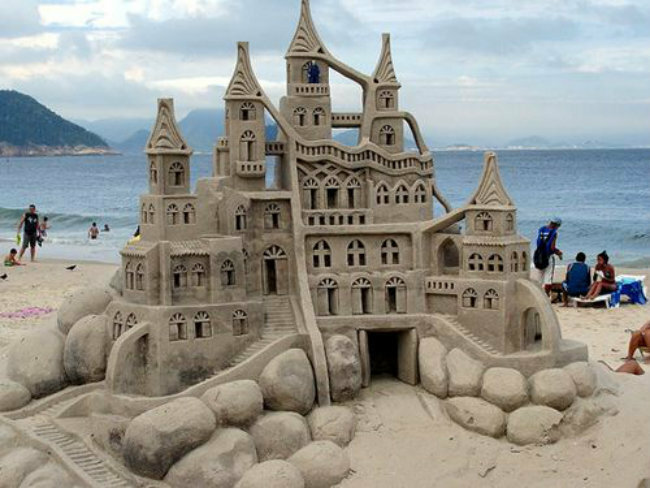 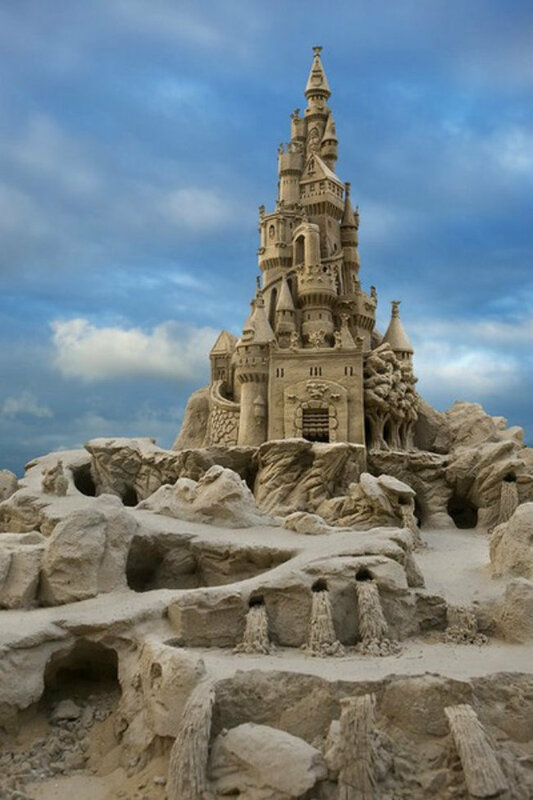 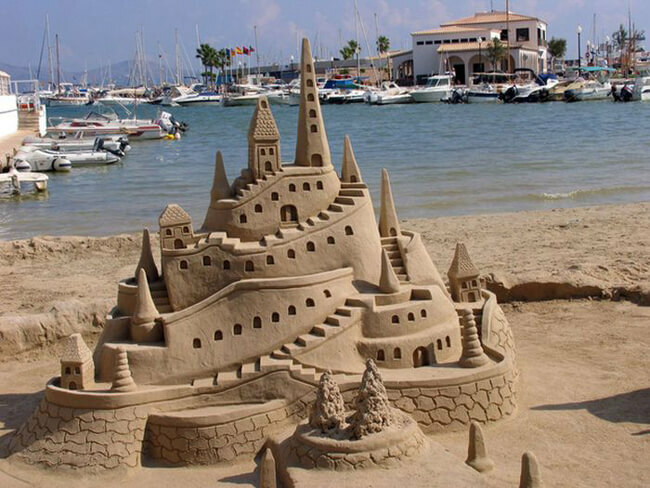 This sand castle comes equipped with sand statues and amazing landscaping! 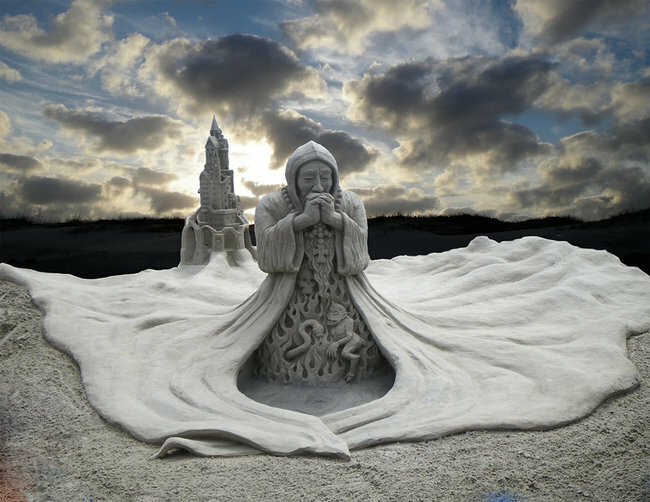 This masterpiece was sculpted on a beach in the Netherlands. 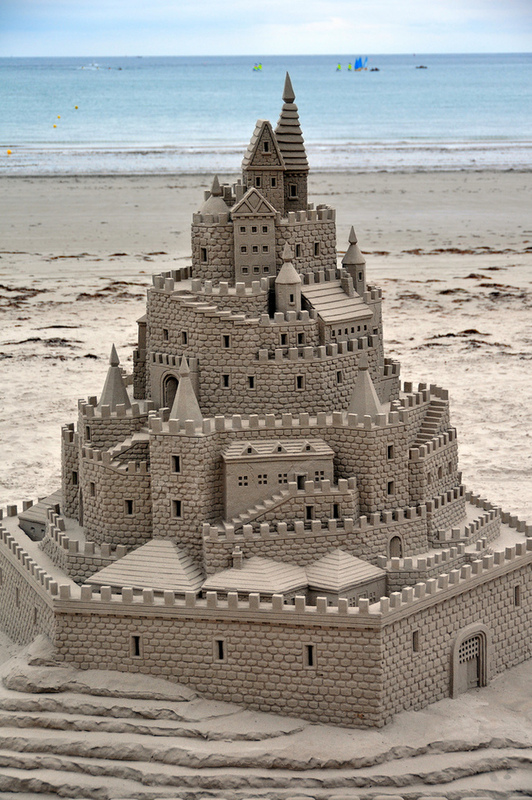 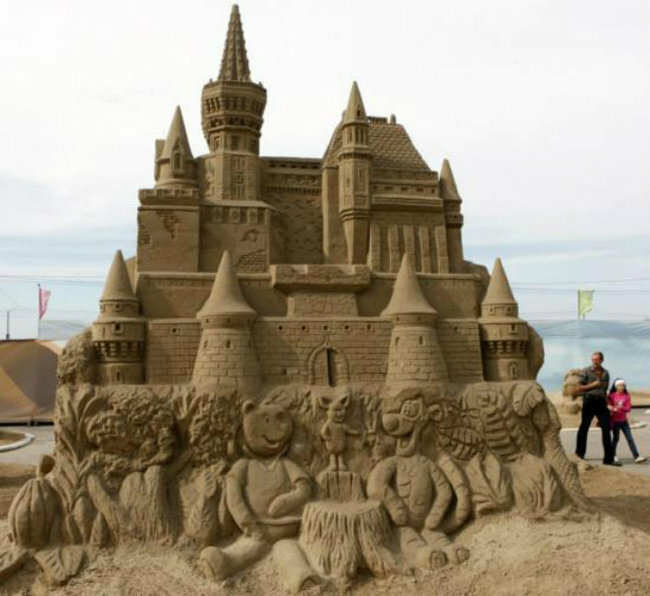 This sand castle was built in St. Helier, New Jersey. 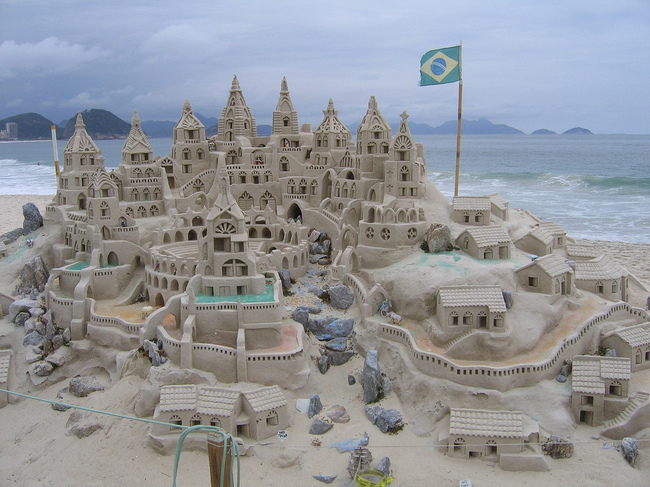 This sand resort was built on a beach in Rio de Janeiro, Brazil. 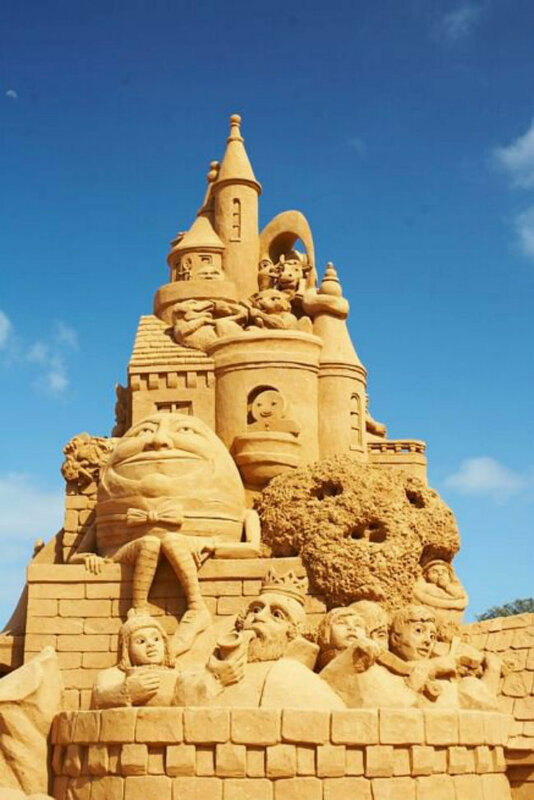 This sand sculpture was built for the Fiesta Sand Sculpture Festival in Portugal. 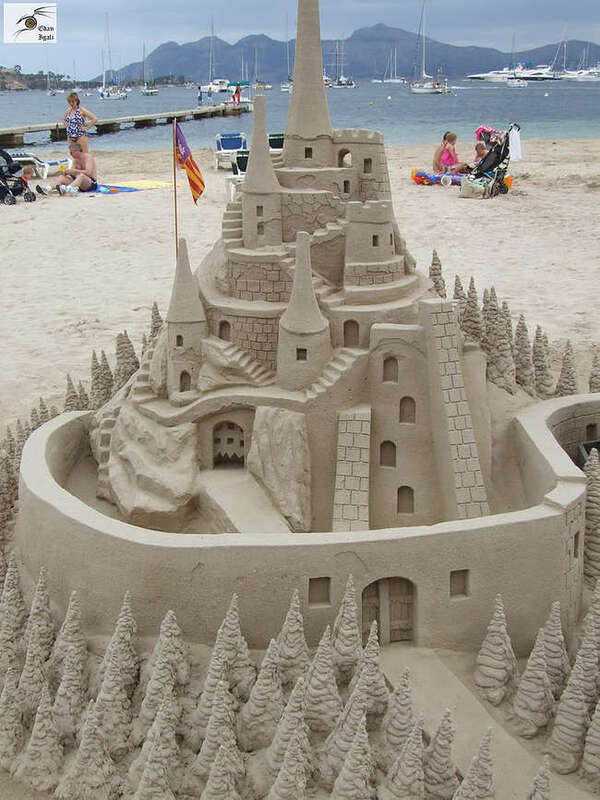 This sculpture was built by Walter McDonald and William Lloyd for the 2008 Tournament of Champions in British Columbia, Canada. 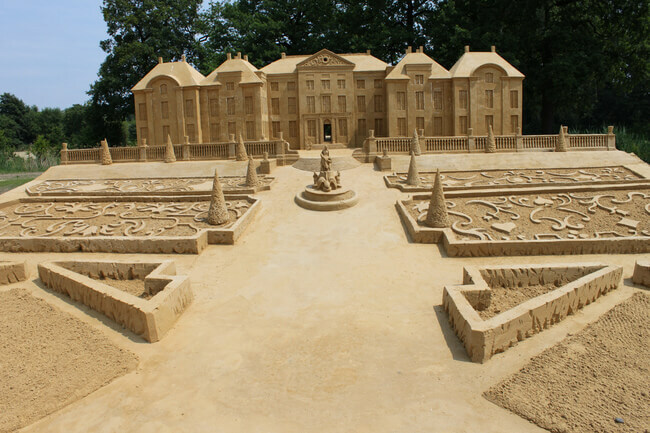 This is another sand sculpture built by Walter McDonald and William Lloyd. 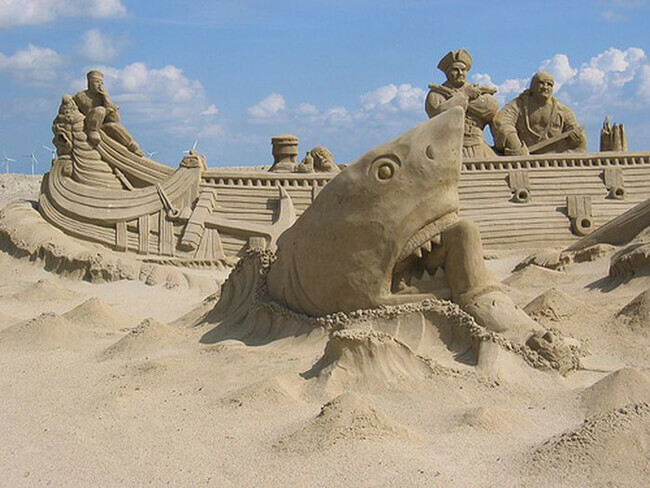 This one was made for the Sandfest Competition at Port Aransas, Texas. 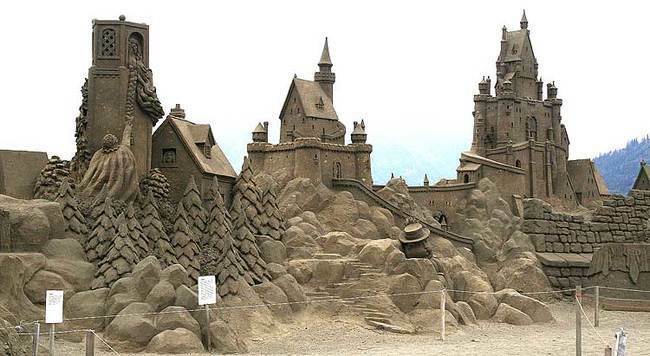 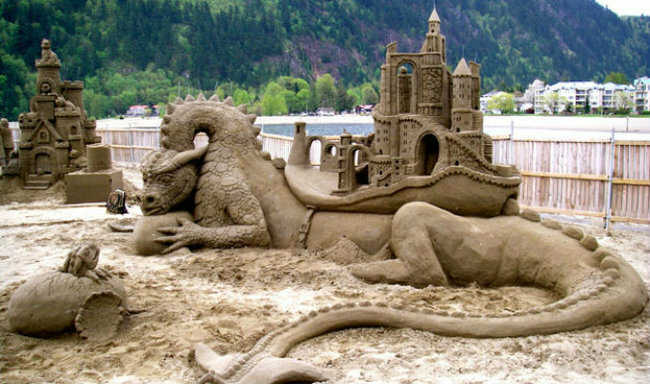 This amazing sand sculpture was built in Harrison Hot Springs, British Columbia. 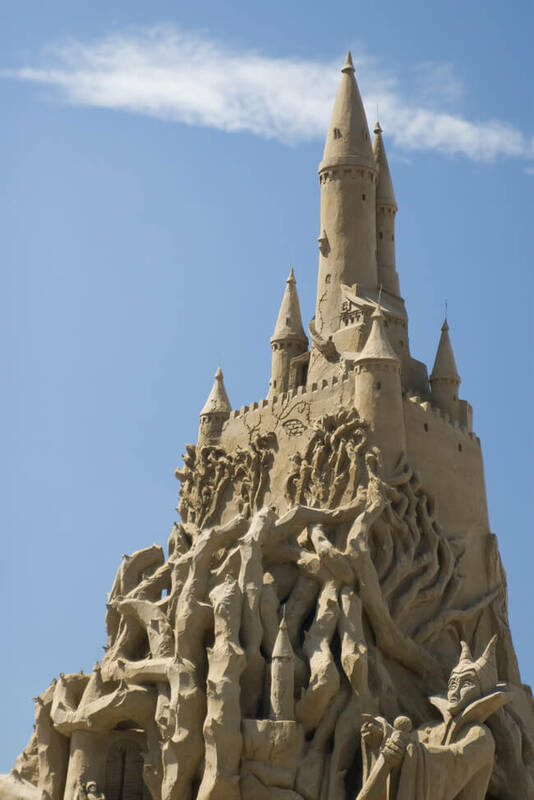 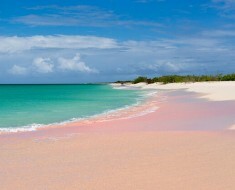 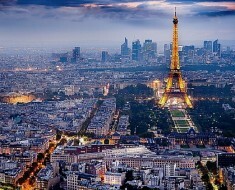 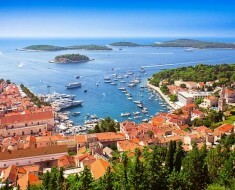 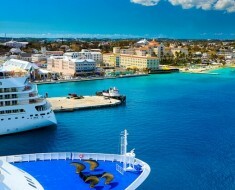 18) Here Is The Church and Here Is The Steeple. 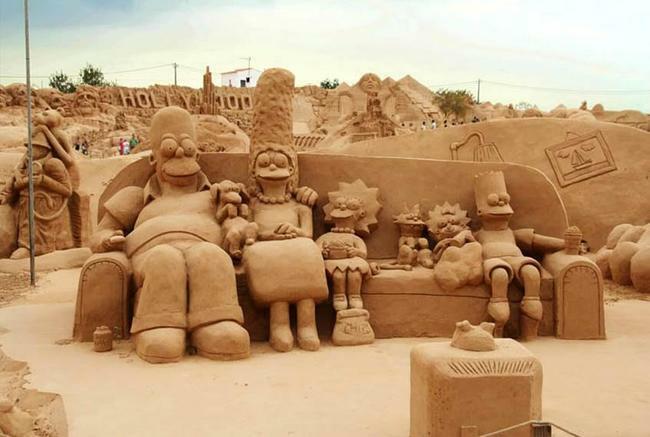 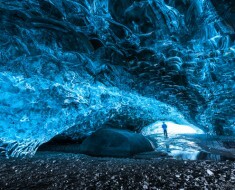 Open The Doors and See All The People! 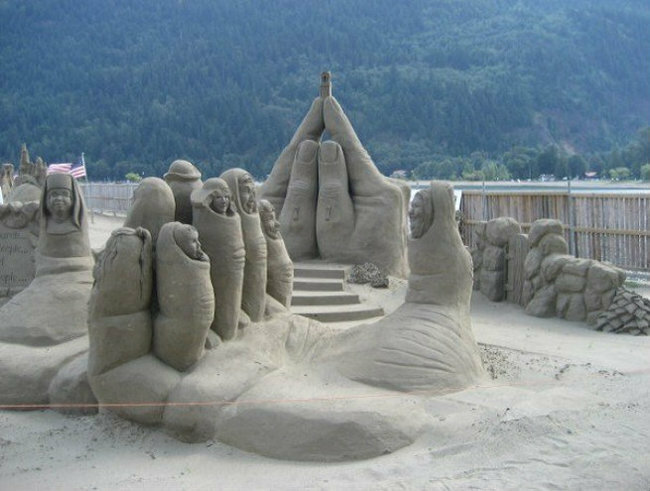 This sand sculpture won second place at the World Championships of Sand Sculpture 2007 in Harrison Hot Springs. 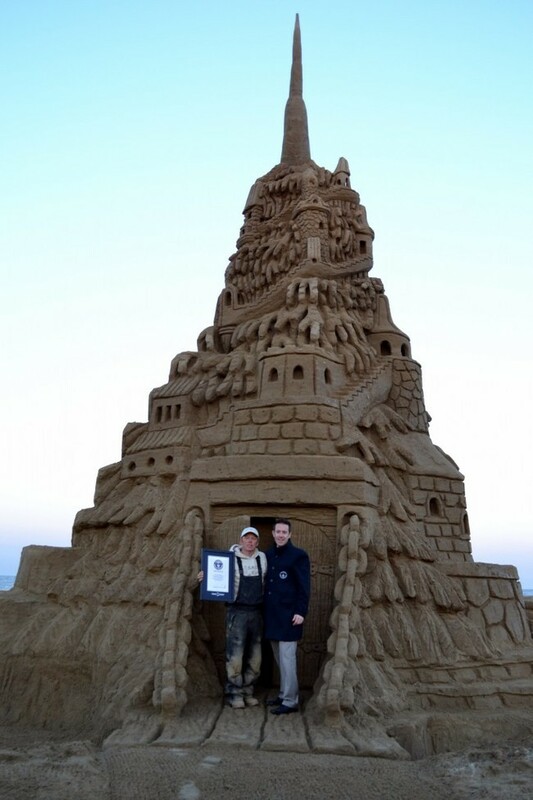 Ed Jarrett broke the Guinness World Record for the Tallest Sandcastle for the fourth time on October 29, 2013. 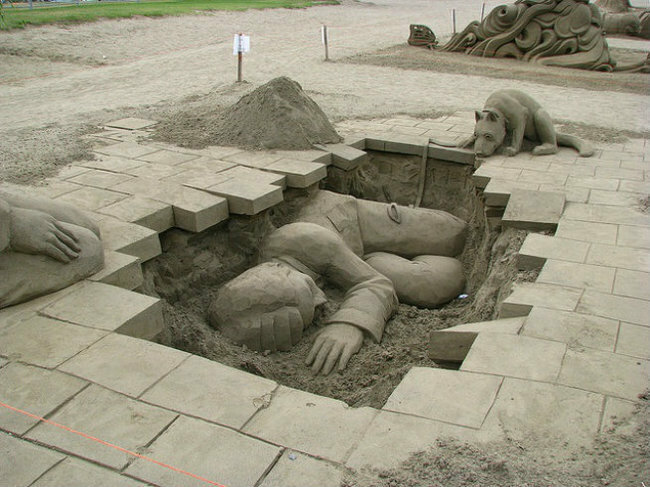 This sculpture stood 38 feet!